Best Chess Teacher: How to beat a weaker opponent? People often ask me psychological questions related to chess (not surprising since I’m also a psychologist ). One of the more popular questions is about the CORRECT attitude (or mental approach) when facing a WEAKER opponent over the board. That’s what we will discuss primarily along with some practical tips and recommendations regarding it. Anyway, we are talking about a situation when you are about 200 rating higher than your opponent. Let’s say you are 2200, and your opponent has a rating of 2000. Naturally, you expect to win this game, and moreover, you want to make it easy and smooth. You would prefer not to risk, but to win slowly but surely. You start playing “normal” moves (as opposed to the best and the most vigorous moves). You think that it’ll be enough for a win (because your opponent is weaker) and you’ll avoid unnecessary risk and complications. I’ve just described a very common scenario between 2 players who have quite a significant gap between their ratings. Now let’s look at this situation from another angle. What does it mean to have a rating of 2200? It shows that performing like a 2200 is your BEST performance, your PEAK performance (otherwise your rating would be higher). Do you ALWAYS use your full mental powers over the board? Most probably, no! For instance, if you are tired today, you will play weaker, maybe on 2100 level. There’s a teasing proverb amongst professional players: “Marriage will cost you -100 rating points”. 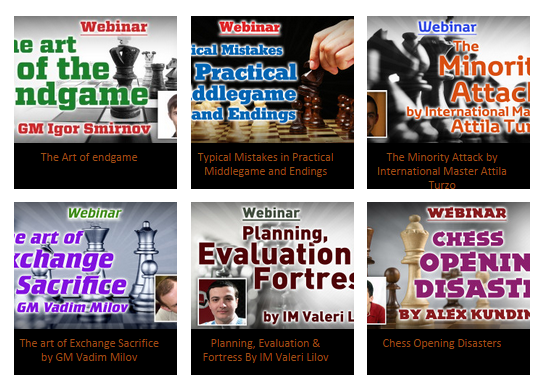 Of course, your knowledge will remain the same, but it can be really hard to focus on chess. All in all, your rating shows your best power. Sometimes, however, you may be using not your full potential. That happens when you start playing those “normal” moves against a weaker opponent. Let’s say you use 90% of your full power. 90% out of 2200 will be 1980, which is close to the power of your “weak” 2000 opponent. The second choice can lead to an annoying loss, yet another typical scenario in David – Goliath match ups like this! Let’s sum-up the things regarding to playing against a weaker opponent. Don’t fall into psychological illusion of your superiority “by default” (because of your higher rating). That’ll become true only if you perform at your BEST, and use your FULL potential. So you’ve got to take risk and play the most vigorous moves even against a relatively weak opponent. P.S. Do you have your own “strategy” to beat weaker opponents? Feel free to write in the comments below and discuss, I’d appreciate it! Get the ability often to win games against weaker opponents, learn how a Grandmaster survives bad positions and the extraordinary skills a Grandmaster possesses. 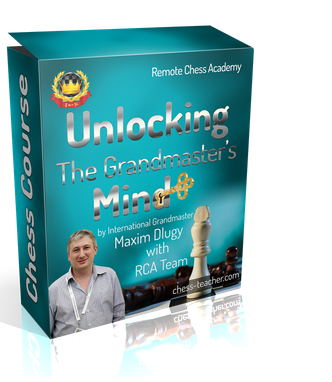 Learn from “Unlocking the Grandmaster’s Mind” now HERE. Note: this article was published a few years ago. But I doubt if you will remember this article and what you have learnt from this lesson. That’s why, we’re helping you by re-publishing the material – even if you have not studied this article in past, that’s fine because you will find it interesting and learn something new.